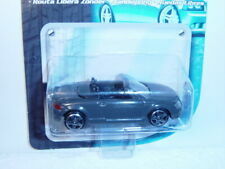 MAISTO DODGE ESCALA DE COBRE DE 1/8 REF41928. Gastos de envío. Farbe: nimbus grau, innen schwarz. (Typ 8N, Modell 1999-2006),1:58. Mit OVP, mit Lagerspuren. Das Museum ist behindertengerecht ausgestattet. 1/18 Scale Model by MAISTO. SPARES or REPAIR - The item will be in a poor condition. Ending Soon. New Arrivals. The RM Toys Team. Kind Regards. Our aim is to ensure no matter what the model, we will provide an excellent service experience. 1/18 Scale Diecast Model by Maisto. Material Diecast. Scale 1/18. GOOD - The item will have had more use, showing obvious imperfections. EXCELLENT - The item will have had very careful use, with only small imperfections. 1/18 Scale Model by MAISTO. Scale 1/18. GOOD - The item will have had more use, showing obvious imperfections. Ending Soon. New Arrivals. The RM Toys Team. Kind Regards. Our aim is to ensure no matter what the model, we will provide an excellent service experience. 1/18 Scale Model by BURAGO. Scale 1/18. The MODEL is in MINT condition. Our aim is to ensure no matter what the model, we will provide an excellent service experience. The RM Toys Team. Kind Regards. 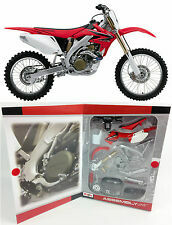 Maisto M38133 1:18 Scale Exclusive Edition 50Th Anni. 2015 Ford Mustang Gt Model. Exclusive edition die cast M38133 of the 50th anniversary edition 2015 Ford Mustang gt in 1:18 scale. Elsewhere on the you'll find four-wheel spring suspension, front wheels that steer with the steering wheel and an opening hood, trunk and doors. 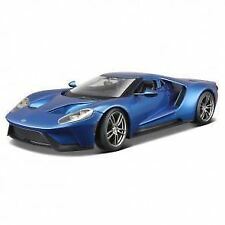 2017 Ford GT. Perfect item for any avid collector. Model & Color: MAISTO BMW X5 IN RED 1:42 PULL BACK & GO 115MM 18. Brand new model, great detail for the price, highly recommended. Movable steering, opening bonnet, boot and doors. 1/18 Scale Model by MAISTO. THE MODEL IS IN NEAR MINT CONDITION - SLIGHTLY DUSTY. THE BOX IS IN GOOD CONDITION - WORN. GOOD - The item will have had more use, showing obvious imperfections. Ending Soon. 1/18 Scale Diecast Model by Maisto. Material Diecast. Scale 1/18. The MODEL is in MINT Condition. The BOX is in GOOD Condition - worn. Our aim is to ensure no matter what the model, we will provide an excellent service experience. Joblot Corgi Matchbox Superkings Lesney Cars Lorrys Kojak Daf Iveco. Condition is Used. Dispatched with Royal Mail Signed For® 2nd Class. This sale is for all 18 vehicles in the photos. 13 to the right of the picture are hotwheels. Including a 1975 corvette White 405 is maisto The 2 red 206 and the blue citroen are majorette The Ferrari ff is Burago Thanks Make an offer Some are older than others and some have damage. Bit overall a nice mixed bunch Open to offers. 1/18 Scale Diecast Model by Maisto. Material Diecast. Scale 1/18. Add to Favourites. The MODEL is in EXCELLENT Condition - Previously displayed. The BOX is in FAIR Condition - Very Worn. MINT - The item is in perfect condition. 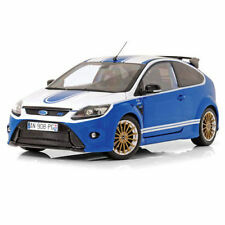 1/18 Scale Diecast Model by Maisto. Scale 1/18. The MODEL is in MINT Condition. The BOX is in MINT Condition. Our aim is to ensure no matter what the model, we will provide an excellent service experience. 1/18 Scale Model by BURAGO. Scale 1/18. The MODEL is in MINT condition. EXCELLENT - The item will have had very careful use, with only small imperfections. GOOD - The item will have had more use, showing obvious imperfections. 1/18 Scale Diecast Model by Maisto. Material Diecast. Scale 1/18. EXCELLENT - The item will have had very careful use, with only small imperfections. GOOD - The item will have had more use, showing obvious imperfections. 1/18 Scale Model by MAISTO. Scale 1/18. SPARES or REPAIR - The item will be in a poor condition. New Arrivals. The RM Toys Team. Kind Regards. Our aim is to ensure no matter what the model, we will provide an excellent service experience. Maisto Jaguar XJ220 1 18. Condition is Used. Dispatched with Royal Mail 2nd Class. 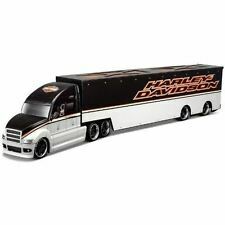 Great looking detailed model in excellent used condition as you can see from the pictures. Thanks for looking! 1/18 Scale Diecast Model by Maisto. Scale 1/18. FAIR - The item will have heavy signs of wear, showing major imperfections. EXCELLENT - The item will have had very careful use, with only small imperfections. 1/18 Scale Model by MAISTO. Scale 1/18. The MODEL is in EXCELLENT condition - Dusty The BOX is in GOOD Condition. Our aim is to ensure no matter what the model, we will provide an excellent service experience. Item model number: 31885. Hugely detailed die cast replica of a Pontiac GTO. This 1:18 scale model of the classic 1965 car features an amazing level of detail, both inside and out. Take a look under the hood to find an accurate recreation of the car's engine, or follow the sleek bodywork round to the doors and open them up to be treated to a view of the interior. 1/18 Scale Diecast Model by Maisto. Scale 1/18. The MODEL is in MINT Condition. SPARES or REPAIR - The item will be in a poor condition. The BOX is in MINT Condition. Our aim is to ensure no matter what the model, we will provide an excellent service experience. Brand New and boxed by Maisto. Opening doors, hood & trunk. 1/18 Scale Model by MAISTO. Scale 1/18. The MODEL is in MINT condition. The inner BOX is in FAIR condition - Very worn. Our aim is to ensure no matter what the model, we will provide an excellent service experience. 1/18 Scale Diecast Model by Maisto. Material Diecast. Scale 1/18. The MODEL is in MINT Condition. The BOX is in MINT Condition. Our aim is to ensure no matter what the model, we will provide an excellent service experience.